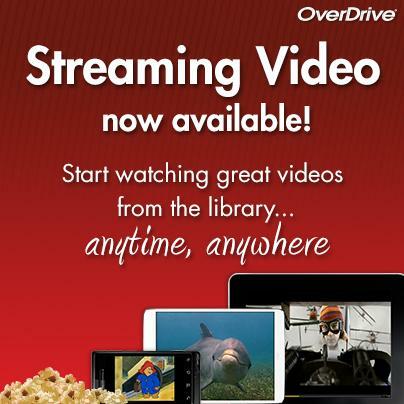 First, we've added streaming movies and video to the ebook and audiobook selection through our Overdrive platform. You'll find all different genres of movies from drama and comedy to horror and documentary, hit television series from the Starz network, even self help and exercise videos, with more content being added regularly. Second, we're also pleased to introduce IndieFlix, a new streaming video service! IndieFlix offers thousands of streaming movies from independent filmmakers and more than 2,000 film festivals worldwide, including SXSW, Sundance, Cannes, and Slamdance - not to mention local favorites like the Philadelphia Film Festival, the Philadelphia Independent Film Festival, and the Philadelphia International Gay & Lesbian Film Festival. Indieflix also offers classic films and forgotten gems from the VHS era. Best of all, IndieFlix has a unique revenue sharing system that supports independent filmmakers when you watch movies through the Free Library's subscription. Indieflix movies are streaming, so that means there are no checkouts, no returns, no late fees, and no waiting! All you need to watch these new streaming video services is a library card number and PIN and a broadband Internet-connected computer or device. IndieFlix is available on PC and Mac computers, tablets including iPad and Android, and smartphones through the web browser. Many films are also available on Roku and Xbox. Indieflix films are not rated by the MPAA, so viewer discretion is advised. 1. You will need to Create a New Account on the RBDigital Gateway. If you have an account with Zinio, then you are already registered and you can use the same e-mail & password. 2. Click the Browse Films button to go to the IndieFlix page. 3. On the IndieFlix page, you need to create another login. Use the same email address that you did to register on the RBDigital Gateway. 4. Once you're logged in to IndieFlix, you can search for films, or browse by genre, mood, length, and rating. Click on the movie to watch the trailer or full feature. You can also click on the + sign to add to your queue for later viewing. 5. (Optional) Set up IndieFlix on your XBox or Roku. Need help? Download the IndieFlix Roku and XBox guide. Give both of these new resources a try and let us know what you think in the comments section below. Also, if you need help with the resources, get in touch. Give IndieFlix a try today! Will streaming work with appleTV? Hi Carolyn - this is an older blog post and we no longer offer Indie Flix. However, we do offer streaming movies though both Kanopy and Hoopla. And, yes, both Kanopy and Hoopla work with Apple TV. Go to our digital media page (http://libwww.freelibrary.org/databases/featured.cfm?subjects=digital-media) and visit these platforms to set up an account. Once your account is active you can add the Apple TV apps.